A member of YCAN recently wrote to Lindsay Tanner, Federal Member for Melbourne, asking why his Government continues to rule out transitioning Australia to a 100% renewable energy economy even though they haven't even explored it as an option. Below is Mr. Tanner's response – a neat summary of the Rudd Government's current 'line' on the climate crisis. We have taken the opportunity to point to several glaring problems with the way Mr. Tanner and his Government are responding to climate change… It took a while to unravel the spin but we got there in the end! Tanner: Dear [sir], Thank you for…your correspondence…regarding a shift to 100% renewable energy by 2020. I would like to take this opportunity to acknowledge that I understand that many people, like yourself, believe that the details of the Governments Carbon Pollution Reduction Scheme should be tougher. It is important to note that the targets proposed are tougher than they appear, and the government remains committed to helping achieve an international consensus for strong action to prevent dangerous climate change. Even the Government’s minimum target of 5 per cent reduction from 2000 emission levels by 2020 involves an actual reduction of about 13 per cent, because emissions have increased significantly since 2000. YCAN reality check #1 – Though the “appearance” of the targets and the public perception that the 5% emissions reduction target is too low may be important to Mr. Tanner, unfortunately this argument is completely irrelevant. Scientists are telling us that we (wealthy countries) need to reduce our emissions by at least 40% by 2020 (but probably a lot higher) and 100% by 2050 if we are to reduce the risk of hitting runaway catastrophic climate change. Anything less than this is putting the world’s people and species at unacceptable risk. The climate crisis is not an issue to be managed by your public relations staff. It is real and it is an emergency. On top of this, most of the emissions reductions in the Carbon Pollution Reduction Scheme will actually come from importing permits from overseas, under widely discredited schemes such as the Clean Development Mechanism. Reductions won’t be made in Australia. So even the 5% target is actually much lower in reality. The targets are not tougher than they appear, but weaker. Tanner: The Government recently announced a more ambitious target of 25 per cent by 2020. This target is contingent on global commitment to stabilise levels of CO2 equivalent at 450 parts per million or lower. This commitment follows extensive consultation regarding the best approach to maximise Australia’s contribution to a substantial outcome in international negotiations at Copenhagen this December. YCAN reality check #2 – The government’s 25% target is so conditional, it will never happen and they know it. It depends on the immoral condition that developing countries commit to reducing their emissions almost as much as developed countries like Australia (despite historical responsibility for climate change lying almost exclusively with the developed countries). Also, what exactly does “extensive consultation” mean? Since not a single scientist has come out in support of the scheme, and almost all environment and climate action groups are against it, who did they consult with? Just the polluter lobbies? It is quite clear that, even under the Rudd Government, Australia is playing a spoiler role at international negotiations on climate change. In fact, on the first day of climate negotiations in Bonn in June 2009 it was awarded a Fossil of the Day Award as voted by 450 non-government organisations “…for announcing a midterm emission reduction target including unreasonable conditions on other countries”. Later that week Australia came second for trying to avoid a discussion on the necessary emissions reductions by developed countries. The nation’s largest ever investment in energy efficiency consisting of more than $4.5 billion worth of programs to improve energy efficiency. 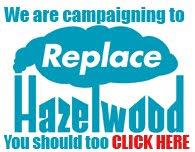 YCAN reality check #3 – Of the $4.5 billion going to low carbon and renewable sources of energy (all except $1 billion announced in the 2009 budget), $2.4 billion is going to so called “clean coal” – carbon capture and storage – which is just a delaying tactic to avoid real action. Also, the government’s investment in clean, renewable technologies is small compared to the estimated $7 billion of taxpayers’ money it gives to the fossil fuel industry in subsidies. Tanner: The Rudd Government has put forward this 25 per cent target because we believe that an ambitious agreement to stabilise levels of CO2 equivalent at 450 parts per million or lower is in the Australian, and global interest. YCAN reality check #4 – Actually, the most up to date science says that we should be stabilising emissions at around 300 parts per million carbon dioxide if we want to re-freeze the Arctic and go back to a stable climate away from tipping points. It is well documented (even in the Garnaut Review) that the 450ppm target gives a 50% chance of going over 2 degrees warming – a disastrous scenario. Would Mr. Tanner get on an aeroplane that had a 50% chance of crashing? Tanner: If the world achieves this ambitious agreement, the Government would seek a new election mandate to increase our 60 per cent by 2050 target. YCAN reality check #5 – What’s the point of having election mandates if you don’t keep your promises to tackle the climate crisis anyway? The Rudd Government had an election mandate to take serious action on climate change in this term, and it hasn’t. Tanner: The importance of getting a global agreement means we need to secure passage of the Carbon Pollution Reduction Scheme through the Parliament this year. Australia cannot responsibly sign up to targets without a means to deliver them and that is what the CPRS does. YCAN reality check #6 – Actually, the Carbon Pollution Reduction Scheme would lock in failure by setting in stone inadequate and un-scientific targets and loopholes (such as imports of international permits). It is also unfair – the CPRS would see the biggest transfer of wealth from the Australian taxpayer to the big polluting industries in our history. Tanner: The Government recognises that there will be some who say that what we are doing is not enough and it comes too late. We know others will say what we are doing is too much and too soon. Australia has had a decade of denial, delay, reviews and neglect under the Liberal Government. The world will meet in December this year to work out a global agreement. Passing the CPRS will ensure we can play our part at Copenhagen and sign up to do our bit. Failing to legislate the CPRS will give other countries an excuse not to act. Those who say the Government is doing too much: The coal lobby, polluting industry, the oil and gas lobby, the Liberal Party, the National Party. Tanner: Australia’s population is growing more rapidly than most comparable countries, particularly those in Europe. That means we have an inbuilt additional driver of emissions growth to overcome as well. Even if the Governments minimum target is all that is achieved, that will mean that Australia’s per capita emissions will be 27 percent lower than in 2020 compared with the 1990 level. Once population growth is taken into account Australia’s proposal is comparable with the European Union position and significantly in advance of the proposal initiated by US President Obama. YCAN reality check #8 – Again, this is irrelevant – it is not consistent with scientific necessity. You can’t negotiate with the laws of physics and chemistry. You can’t negotiate with bushfire and drought. Also, the Rudd Government has some cheek using per capita emissions as a reason to do less when Australia’s per capita emissions are the highest in the world! Tanner: Specific assistance to sectors most affected by the Carbon Pollution Reduction Scheme is inevitably the focus of public debate. I would urge you not to underestimate the challenge involved in introducing this scheme during a period of great economic uncertainty and fragility. The transition to a low carbon economy will be an enormously challenging task. Australian businesses are currently dealing with the worst global recession since the great depression. The Government is committed to making this transition, but we are also committed to ensuring that we minimise the economic disruption it involves. YCAN reality check #9 – All the evidence shows that the Rudd Government is not interested in transitioning Australia to a zero carbon economy. What it is interested in, is managing public perception of the issue in order to win the next election. We don’t underestimate the challenge of the transition necessary, it will be hard, but it is nothing compared to the catastrophes we face as the climate crisis worsens. The Rudd Government, with its support for the coal industry and business as usual, is only delaying this transition and making it harder in the future.